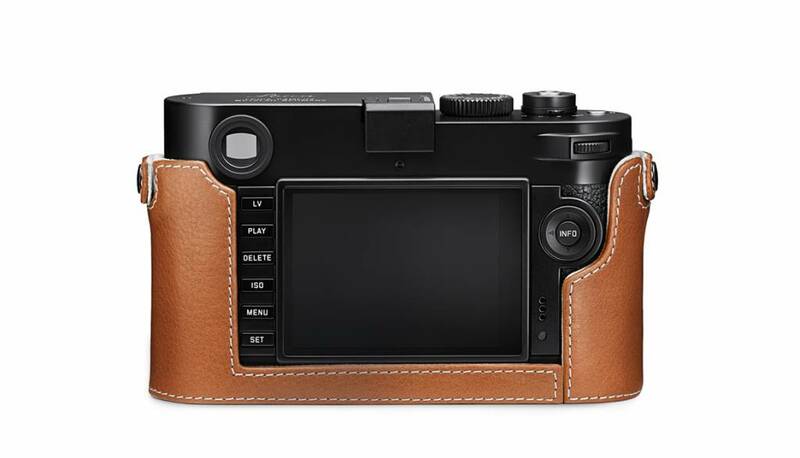 Camera protector (half case), from soft black nappa leather, designed for the Leica M or M-P (Typ 240) digital camera. The jacket-style accessory provides a snug fit, covering the front, sides, and bottom of the body while leaving the lens and controls free for shooting. 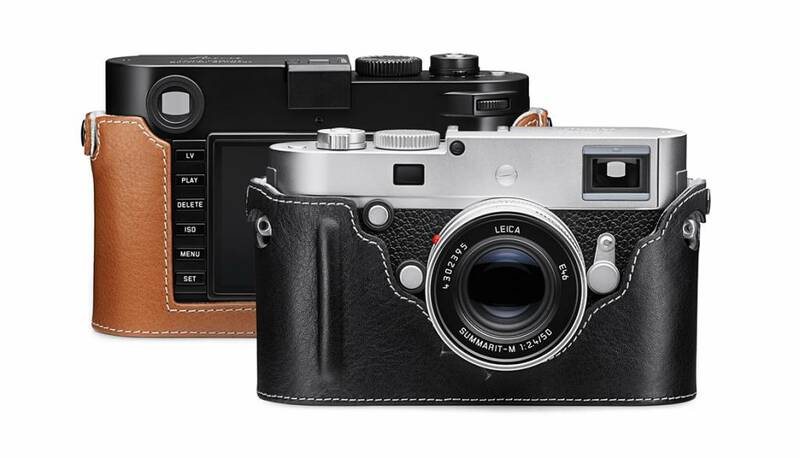 It also features a handgrip on the front to give you a more secure hold on your camera.